Description: Delicately etched of Solid Brass, the long s-shaped necked and long-legged wading bird stands ready in shallow waters. 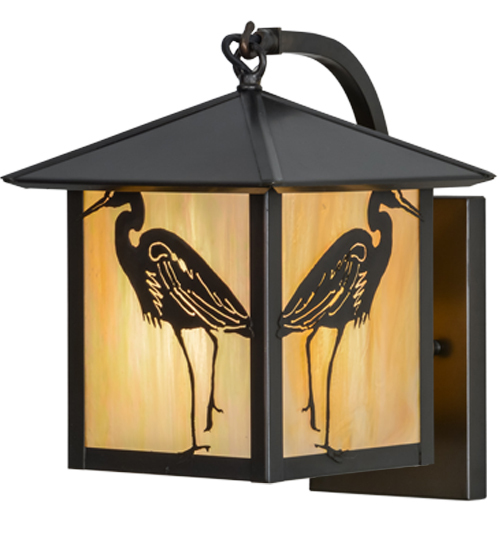 The unique profile is depicted on Beige Iridescent glass of this Craftsman Signature lantern finished in Craftsman Brown. Inspired by the Arts and Crafts Movement and hand crafted by Meyda artisans at the foothills of the Adirondack Mountains in upstate New York.